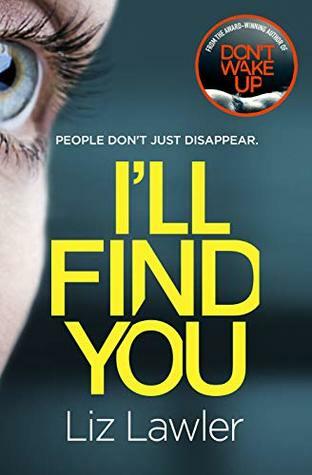 Crime thrillers aren’t usually my sort of thing but Cara Hunter is an author that I make an exception for. I really like her writing style. I find it engaging and exciting to read. It’s often quite twisty too and I love a good twist. 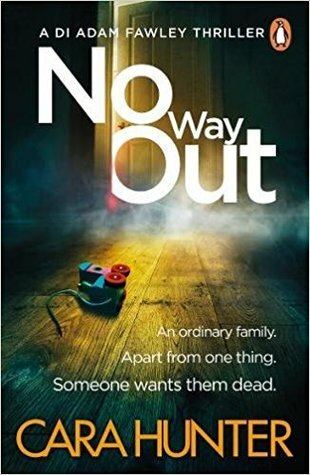 No Way Out is the third book in the DI Adam Fawley series. It is an excellent addition. Whilst I wasn’t sure I was going to like the book at first, I’m glad I stuck with it, because it’s certainly worth the read. No Way Out starts with a house fire in Oxford. It has completely destroyed the family’s home. 2 children have been pulled from the house. The youngest has died but the eldest is in a critical condition in hospital. The strange thing is, the mother and father are missing. The detective team start to piece together what happened. They search for the mother and father- eager to find some resolution. Although it took me a while to familiarise myself all of the names, the detective team are incredibly strong and bring a lot to the case. I think they were really well developed and I loved reading about these quite complex characters. The death of the youngest child was always distressing to read about. There were some very harrowing discoveries along the way which added to the overall tension of the story. I loved how alongside the investigation, we learnt more about the character’s lives. Fawley will always remain a favourite for me. I find him to be a very likeable, interesting character. As I mentioned, I’m not always a fan of crime thrillers and it takes a decent one to interest me. Cara’s style engages me because she uses a range of narratives to tell the story. I like the social media element and love reading the interview transcriptions. It keeps it modern and very realistic to me. This series is certainly worth a read! A wonderful addition to the series. These characters are just fabulous. 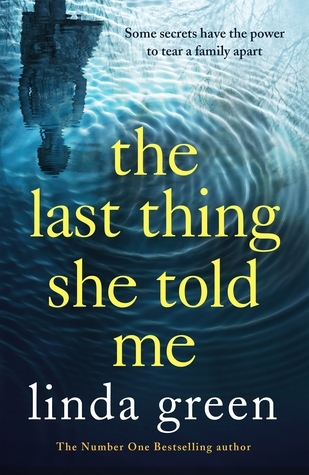 Talking About ‘The Last Thing She Told Me’ with Bibliobeth! Moments before she dies, Nicola’s grandmother Betty whispers to her that there are babies at the bottom of the garden. CHRISSI: Did you ever feel like this book was too far-fetched? BETH: This might not be the same answer for everyone who reads it but unfortunately for me at points, I found it difficult to connect with. Not necessarily unbelievable but there were points when I thought the way certain characters reacted to circumstances weren’t how I imagined they would in a real-life situation. However, I don’t have any personal experience similar enough to what some of the women suffer through in this book so who can say for certain how someone would/should react? I have plenty of experience with grief and it certainly does crazy things to a person, emotionally and psychologically speaking. Also, the part with the fairy bone and Maisie being allowed to keep it for a night according to the police – I really don’t think that would actually happen. BETH: What did you think of the relationship between the women, primarily Nicola and her mother Irene? Did you find any similarities between Nicola’s relationship to her oldest daughter, Ruby? CHRISSI: I felt like the relationships between women in this story were quite fractured. Nicola and Irene definitely had a difficult time within this story, mainly down to what had happened to Irene in the past. Nicola may not have realised this. I feel like Nicola tried to be more open and honest with her own daughter although she hid a major secret from her. There were so many secrets in this story that affected all of the female relationships. CHRISSI: What purpose did William’s letters to Betty serve throughout the book? BETH: I thought they served as a nice little addition to the narrative. I really enjoy the inclusion of letters in a novel, it gives such a fascinating insight into a character’s life and personality but the danger with them is that if you’re only hearing from one person’s point of view, it gives only one side of the story. With the different threads going on throughout this book, I couldn’t help but be slightly suspicious of William’s character and motives and it was interesting to read how it all panned out in the end. BETH: Did you predict what would happen at any point in this novel? CHRISSI: I don’t think so. I had some ideas along the way but nothing that was particularly solid. I think it could have gone in any direction really… it was that sort of book! CHRISSI: Without spoilers. why do you think Nicola finally acknowledges what happened to her at age 20? BETH: I think Nicola goes through so much inner turmoil as she relives her own personal experiences through that of her mother and grandmother. It reminds her how different life was for women just a generation or two ago and how little power or control they seemed to have over their own destiny. As a result, it makes her think again about how times have changed. She now has the perfect opportunity to break her silence and speak out whilst arriving at the realisation that telling her family the truth is better than hiding terrible secrets. BETH: Why do you think Betty mentioned the babies to Nicola before she died? CHRISSI: In my opinion, Betty wanted her family to be able to move on. If she told Nicola then the secrets would be out in the open. I think it somewhat took a weight off Betty’s mind and she could die knowing that she had done the right thing. CHRISSI: What significance do the fairy statues have throughout the story? BETH: I love the addition of the fairy statues (and I’m sure you did too, I know you have a fondness for fairies!). However, they do represent something a lot darker and more saddening than you would normally associate them with. I believe they represent childhood, innocence and how these things can be permanently altered through traumatic experiences. CHRISSI: I would. I haven’t read this author before, but I was pleasantly surprised at how easy her writing was to read. I loved Behind Closed Doors. It was such an excellent debut, that I’ve put off reading The Breakdown because I was worried that it wouldn’t live up to my expectations. I’m very happy to say that it certainly did live up to my expectations. If I hadn’t been as busy as I was, I would’ve devoured this book in a day. I loved that The Breakdown had a very different vibe to it. I liked that I was kept guessing. I really didn’t know whether Cass was a reliable narrator. I did doubt her along the way. I didn’t know if we were being lead to believe that Cass was on the brink of a breakdown or whether something terrible was happening. I did guess one of the twists, but another I was quite oblivious to. I can see why some people find Cass to be a frustrating protagonist. She’s not got much of a back bone. Yet, there was something about her that I personally found to be quite endearing. I think this book is well worth reading, if you’re into exciting, unreliable narrators. I really enjoyed this book! I thought it was an utterly addictive read. They say you killed…But What If They’re Wrong? The police tell her that her daughter Elspeth is dead. That she drowned when the car Maggie had been driving plunged into the river. Maggie remembers nothing. 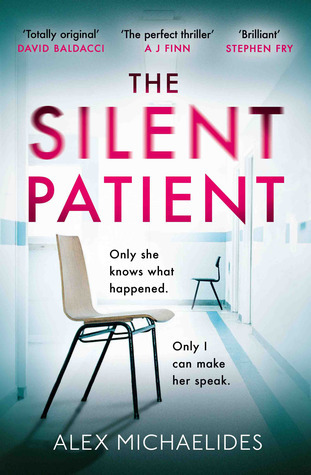 When Maggie begs to see her husband Sean, the police tell her that he has disappeared. He was last seen on the day of her daughter’s funeral. What really happened that day at the river? And why can’t she shake the suspicion that somewhere, somehow, her daughter is still alive? I really enjoyed My Sister’s Bones from Nuala Ellwood, so when I found out that she was bringing out another book, I got on and requested it. I’m thrilled I got the opportunity to read it, because I thought it was a brilliant thriller, that really kept me turning the pages. Another excellent read from Nuala Ellwood! 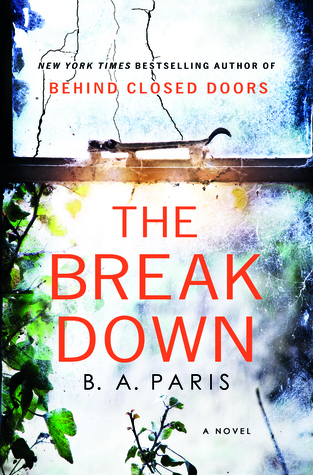 Theo Faber is a criminal psychotherapist who has waited a long time for the opportunity to work with Alicia. His determination to get her to talk and unravel the mystery of why she shot her husband takes him down a twisting path into his own motivations—a search for the truth that threatens to consume him…. Ahhh this book. I had seen it absolutely everywhere and I held off until February to read it, as I had an ARC. The struggle to wait for it. The struggle. I can confidently say that I’m so pleased I waited. It was an amazing read. I’m absolutely blown away that this is a debut novel. It was incredible. I really should stop gushing now and get into my review. This has a really exciting premise. It’s about a woman named Alicia Berenson who is accused of murdering her husband. The trouble is, since the crime, Alicia hasn’t spoken. For six years she’s been living in a mental health unit called The Grove. The Grove is for very dangerous people with serious mental health issues. Readers then meet Theo Faber, who has had a tough childhood. He’s now a psychotherapist. He’s intrigued by Alicia and wants to be the one to ‘cure’ her and getting her to speak again. He wants to help solve the mystery as to why she murdered her husband. This is one of those reviews where I’m going to be terribly vague because I don’t want to ruin the story. I will say that it’s an incredibly well written story. It’s so compulsive. I desperately wanted to find out what was going on. I absolutely loved the inclusion of Alicia’s diary. Argh. I want to say so much but I can’t because of spoilers. It is a bit of a slow burner, which I don’t usually enjoy, but this one had me from the very beginning. I have to admit that I didn’t see the twist coming. I know many people will do, but for me I was quite shocked which is why I had to give it a 5 star rating. I think this will be an excellent book club read. It truly deserves all of the praise it’s getting. A truly excellent 2019 debut. Alex Michaelides is truly one to watch! I had heard mixed reviews about this book, so I was somewhat hesitant to start it. However, I try as much as I can not to let reviews sway me. I went into this book with an open mind. I did find it enjoyable and it didn’t take me long to read at all, but I can see why some reviewers have had some trouble with it. I was really intrigued by the plot line but I’m sad to say that it became a little unbelievable in places. It didn’t seem like real life. I’m not saying that stories should be similar to real life, but in thrillers, I do tend to like some sense of reality within the pages. A good thriller creeps you out because you know it could happen. There are some really interesting characters in this story and there was certainly enough to hold my attention. It was clear that the writer has good medical knowledge, being a nurse herself. I just wish it had been more believable. Despite my reservations about this book, I think many would enjoy it, so I would recommend it! This book is going to be ever so tricky to review, because it’s one where you don’t want to reveal too much about it before someone reads it. It’s definitely one to go into without knowing a lot about the plot. Trust me, you’ll find yourself fully immersed in this story before long. It’s fantastic. That’s all I can really say without revealing what happens in this story. I really don’t want to ruin it for any potential reader. 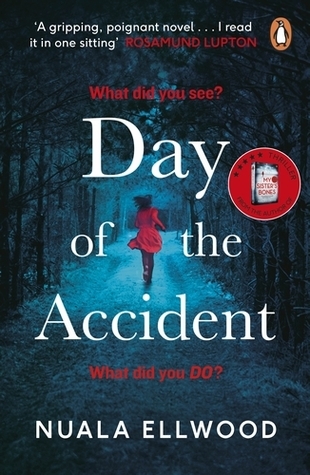 What I will say is, if you like your thrillers to be incredibly dark and twisted, then this might be one for you. I couldn’t believe how twisted some of it was. I have to admit, that I did guess a part of the twist, but I didn’t guess it too soon and it in no way affected my enjoyment as a whole. 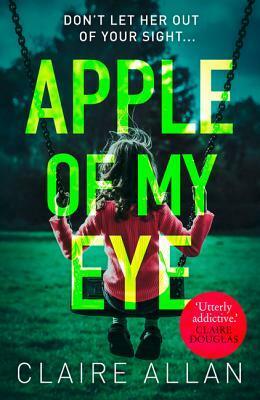 Apple Of My Eye is superbly written and so worth reading. An incredibly tense read. I couldn’t put it down!